The third and final day of ICE Totally Gaming took place today, concluding one of the largest gambling shows in existence. As always, the expo floor was much quieter than days one and two, but the reduced turnout is anticipated due to huge parties the night prior such as Fire & Ice and Playtech’s ‘do. Despite the reduction in attendees, there was still plenty to see and do on the expo floor. For the first time this year, GamCrowd held a series of seminars on the Pitch ICE stand dedicated to start-up companies, the “GamCrowd studio”. Chris North, GamCrowd CEO, told CalvinAyre.com one of his organization’s initiatives this year is to provide educational support to start-ups on their website, so the GamCrowd studio at ICE served as a perfect compliment. Some of the key GamCrowd Studio speakers included Jon Bradford, ex-Managing Director of Tech Stars, London, Andy Clerkson of Grand Parade and Melissa Blau of iGaming Capital. Blau spoke on how entrepreneurs can raise their status and get the word out about their innovation within the online gambling industry and investors. 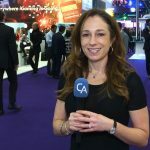 She advised attending as many conferences as possible including the smaller ones, participating in events such as Pitch ICE and the other Launch Pads, reaching out to all industry publications for exposure, offering guest contributor posts to websites such as CalvinAyre.com, getting involved with award ceremonies, speaking at events, utilising social media channels such as Twitter and Facebook and so on. Emerging markets were a key theme this year at ICE and a lot of eyes are on South and Latin America. 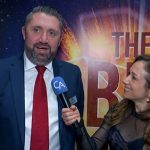 Santiago Asensi of Asensi Abogados, a well-known Spanish lawyer in the iGaming space, told CalvinAyre.com three key countries of interest in the region are Mexico, Brazil and Columbia. Of the three, Columbia is the most exciting as this market published its draft regulations right before Christmas 2016 and they are guaranteed to go through within the coming days. ICE Totally Gaming also featured exhibitors from the Asian market and Asia Gaming’s booth was prominent. Kelvin Chiu of Asia Gaming emphasized the importance of fully understanding the culture of the Asian gambler and pointed out many European operators who have tried entering Asia and have failed. He said young Chinese gamblers are now showing an interest in slots, especially with the rise of mobile devices. Asia Gaming has recently released three slot games of high appeal to the Asians, Aerial Warfare, Jurassic Slot and Year of the Monkey. 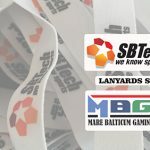 SBTech had an impressive booth this year as well, the largest and most elaborate to date for the company. 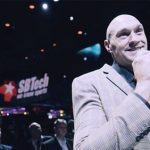 Tom Light of SBTech spoke on several panels during ICE and was keen on discussing innovation in sports betting software and predicts we will be seeing innovation in the user experience, particularly personalization. One of the ways SBTech plans to utilize advanced personalization strategies will be during the upcoming Euro 2016 as its forecasted to be an even bigger opportunity for operators than the World Cup. 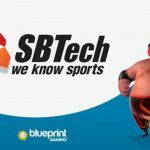 SBTech will be coming up with ways to not only engage sports bettors in Euro 2016 wagers, but also casino players who appreciate a more gamified experience.